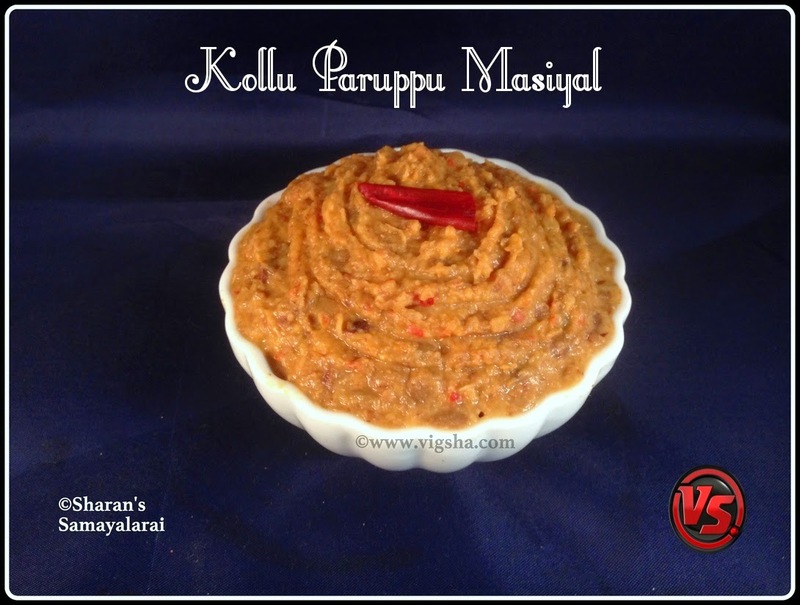 Kollu Paruppu Masiyal is a famous kongunadu recipe. The spices used in this masiyal are freshly ground to make it flavorful and tasty. 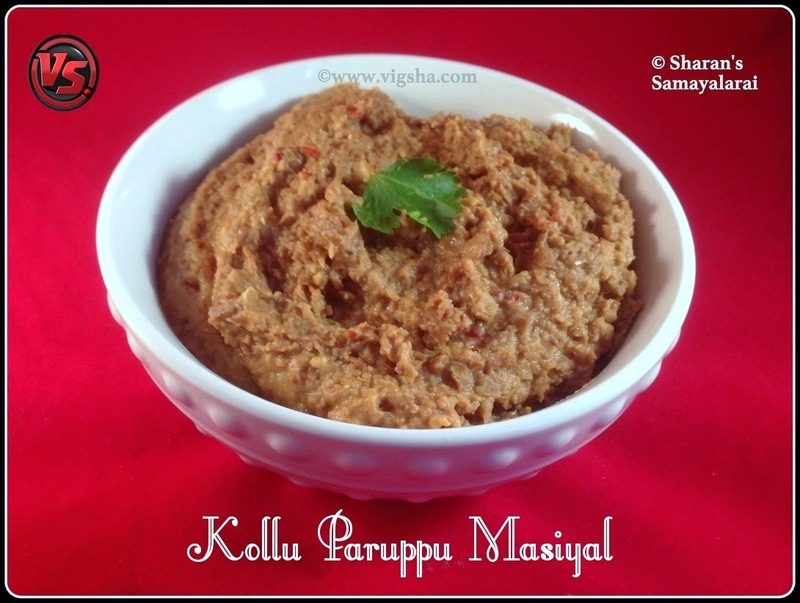 Kollu Paruppu(Horse gram) is a Cholestrol reducing agent and is a good diet food. This is not much popular, but very good for health. Also it is good in treating stones, menstrual problems and obesity. 1). Pressure cook the kollu with water, turmeric powder, salt and ¼ tsp castor oil. Cook till the kollu becomes soft (check notes). After the full release of the vapor, drain the water for Kollu rasam and set aside. 2). Heat oil in a pan, add cumin, corriander seeds and saute till aromatic. Then add onions, curry leaves and red chillies, saute till the onions turn translucent. Switch off and let it cool. 3). Add the above sauted mixture with a handfull of cooked kollu paruppu and grind coarsely. Then add remaining kollu and give a stir. Do not add water for grinding, masiyal should be in thick consistency. If required add the reserved water (very little) for rasam. Kollu Paruppu Masiyal is ready. Serve with rice and a dollop of ghee !!! # Kollu should be cooked well. To check if it is cooked, press between two fingers it should become mushy. # Do not add water while grinding. If required use the reserved kollu water(water used to boil kollu paruppu). Looks so dilicious and super healthy dish. Like the fact you have mashed them and its healthy too! Glad to follow you !! !